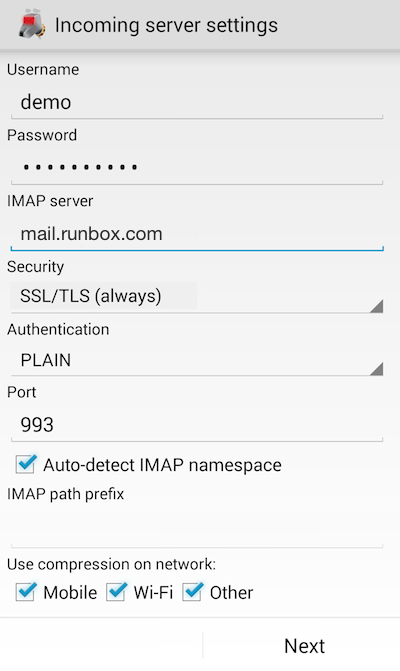 To set up K-9 Mail with Runbox, please follow the step-by-step instructions below. 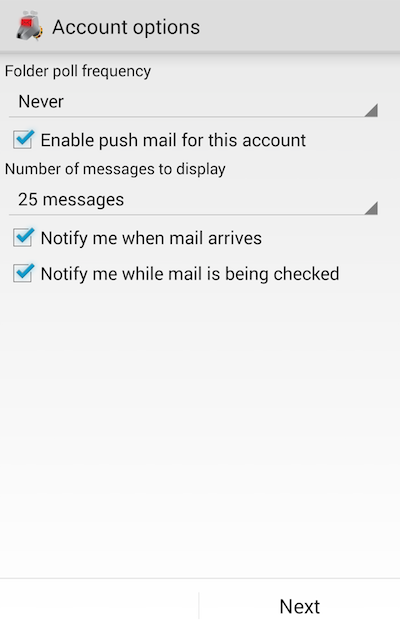 Note that the setup process and dialog boxes on your device may vary slightly from what is shown here, depending on what version of K-9 Mail you are using (these screen shots were made with K-9 Mail 4.803). When you open K-9 Mail for the first time you will be asked to set up a new account. If you already have accounts set up you will need to tap on the + in the top right to add a new account on the accounts screen. Next enter the incoming server details on this screen. Be careful to enter them accurately and to enter your username in the correct format. 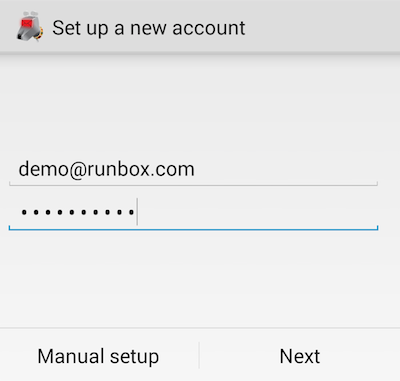 Note on Usernames: You can find your username in the top right of the screen when you log in to the Runbox webmail. 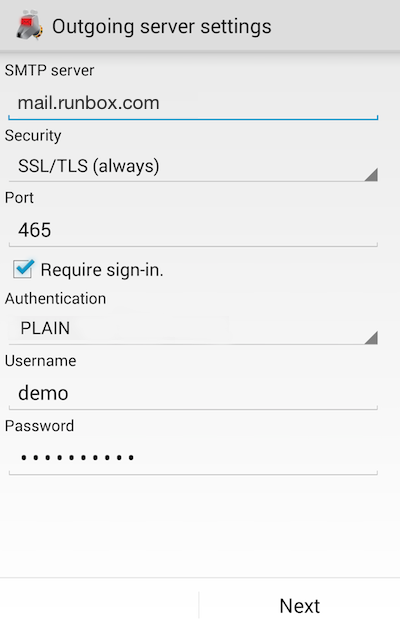 Usernames based on your own domain are different to those based on a Runbox domain. You can find our more about usernames on our Usernames and Passwords help page. Next enter the outgoing server details on this screen. Be careful to enter them accurately and to enter your username in the correct format. 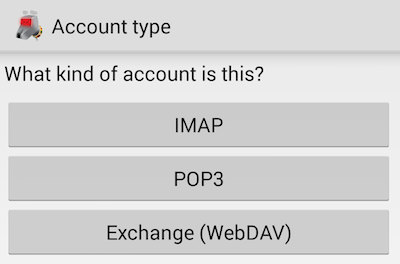 You can set the account options as you wish. We find the defaults shown below work fine. 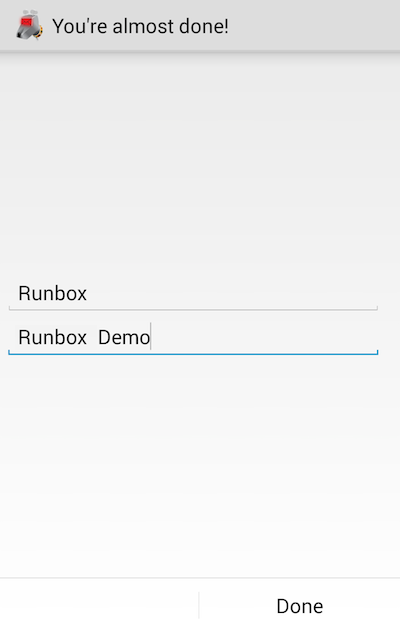 Once you have done tap Done and you have completed the set up of Runbox in K-9 Mail. Note on special folders: We have found that K-9 Mail correctly identifies the special folders, Sent, Trash, Drafts and Archive (if you create an archive folder that is).